At last, a mathematical explanation of how art works presented in a manner we can all understand. Kimberly Elam takes the reader on a geometrical journey, lending insight and coherence to the design process by exploring the visual relationships that have foundations in mathematics as well as the essential qualities of life. Geometry of Design takes a close look at a broad range of twentieth-century examples of design, architecture, and illustration (from the Barcelona chair to the paintings of Georges Seurat, from the Braun hand blender to the Conico kettle), revealing underlying geometric structures in their compositions. Explanations and techniques of visual analysis make the inherent mathematical relationships evident and a must-have for anyone involved in art, design, or architecture graphic arts. The book focuses not only on the classic systems of proportioning, such as the golden section and root rectangles, but also on less well known proportioning systems such as the Fibonacci Series. Through detailed diagrams these geometric systems are brought to life giving an effective insight into the design process. 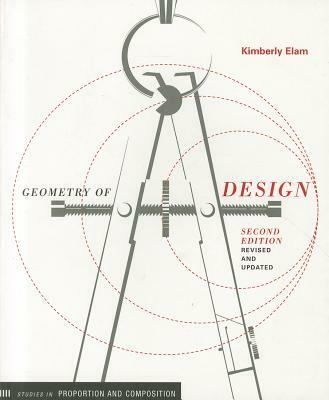 "Kimberly Elam's Geometry of Design brings out the mathematical guns in analyzing and postulating about the inherent symmetrical nature of great design. She explores the relationships between visual representations and their foundations in geometry. It's a great book that focuses on the golden ratio and root rectangles. Elam utilizes overlays and grids in order to identify designs in different works of design and art. She looks at the underlying geometric structures in architecture, compositions and even furniture. The author has a great ability to distill these high level math concepts and distill them in an understandable and relatable way with insight into the design process."